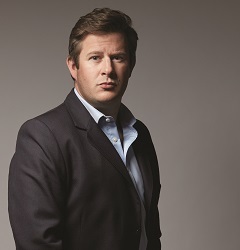 The deal was brokered by Julian Alexander of The Soho Agency with fiction publishing director Jo Dickinson. The first novel in the contract will be published early in 2020 and will be called Operation Certain Death, introducing the series lead character, bomb disposal expert Dom Riley. A second novel will be published in 2021. Dickinson said: "I am delighted to be working with Kim to launch a new action series. He brings his wealth of knowledge and experience to the novels, and each one promises to be a thrilling and dangerous adventure. This is perfect reading for fans of Andy McNab, Frank Gardner and James Swallow." Hughes said: "Following the amazing success of Painting the Sand I am thrilled to be working with Simon & Schuster UK again on my first novel. These are exciting times."